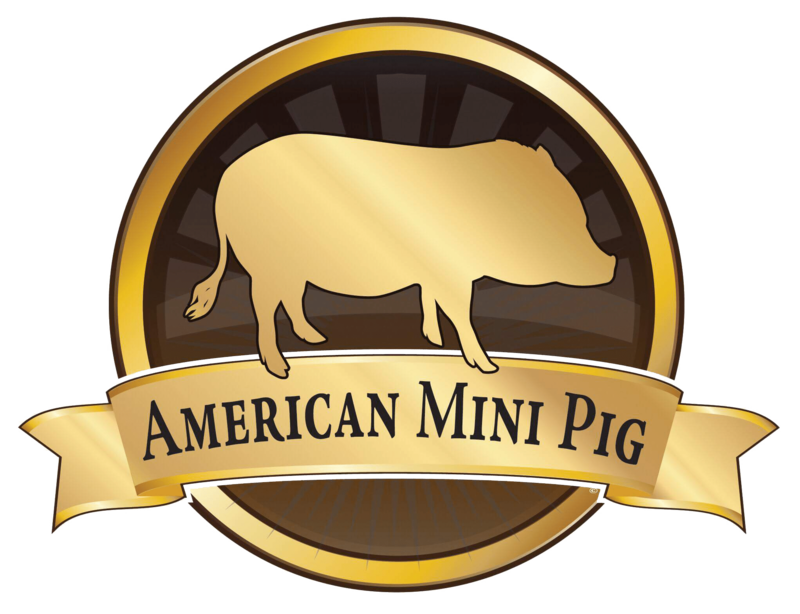 The American Mini Pig Association was developed by a dedicated team of miniature pig breeders, owners, and veterinarians whom are committed to educating and advocating for miniature pigs, promoting healthy breeding practices, upholding the code of ethics for breeders and owners alike with the intent to help reduce the number of displaced pigs, bridging the gap between owners, breeders, vets, and rescues, and improving the quality of the American Mini Pig as a breed. the betterment of mini pigs. The American Mini Pig Association was developed by a dedicated team of miniature pig breeders, owners, veterinarians, and rescue liaisons whom are committed to educating and advocating for miniature pigs, promoting healthy breeding practices, upholding the code of ethics for breeders and owners alike with the intent to help reduce the number of displaced pigs, bridging the gap between owners, breeders, vets, and rescues, and improving the quality of the American Mini Pig as a breed. This association was created to become a source of factual information for everything mini pig. A collaboration of research, life experiences, veterinary medicine, and love for these animals for the public to enjoy, learn from, and share. It is a community of people joined to improve the lives of mini pigs, their owners, breeders, and rescue organizations. We strive to educate on the joys of training. To inspire owners to turn frustrations into goals of training for a happier, healthier pig and a more fulfilling relationship with their pet. To produce not only pig owners, but advocates of good animal care and practices in their communities. We have established two individual 501c3 non-profit organizations for education and rescue to help us accomplish our goals in the pig community. We want to inspire you to join and work with us to advocate, educate, and improve the quality of life for mini pigs and their owners. Several committees are in place to provide experience and focus to all things mini pigs. Marketing/media, breed advancement, ethics, fundraising, and rescue. Owners, breeders, vets, and rescue liaisons make up these committees to share their individual views, needs, concerns, and goals. 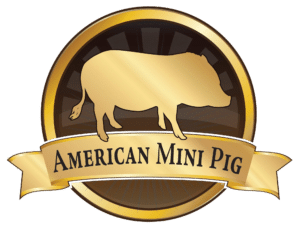 501c3 non-profit status approved for American Mini Pig Education and American Mini Pig Rescue. To provide up to date, factual information regarding mini pigs. Webinars for training, education, and fun. Fundraising to support our grant programs. Mentoring programs for breeders and rescues. Initiate steps to establish mini pigs as approved ADA Service Animals. The AMPA Ambassador program, a points/certification program that rewards mini pigs who have good manners at home and in the community. To have a database full of mini pig measurements that correlate with ages and is maintained with updated information for the purposes of parentage verification and genetic identity. AMPA plans to use DNA certification to ensure reliable registration records vital to the preservation and advancement of American Mini Pigs. Genetic records of parentage of mini pigs. Genealogy, family trees for mini pigs. To eliminate unethical breeding practices. To eliminate the need for misleading size references for mini pigs. To reduce the number of displaced pigs. To work to update and improve legislation and zoning for mini pigs. To improve the quality of care of mini pigs in homes, breeding programs, and rescues. To support the American Mini Pig Education and American Mini Pig Rescue nonprofit organizations. To bridge the gaps between mini pig owners, breeders, and rescues.